Driver Face Angle. Is it Important or Not? The driver face angle is basically defined as the clubface angle, measured in degrees, when the driver is soled on a hard surface with the shaft held perfectly at a 90 degree angle to the line of flight. So, the driver face angle can be perfectly square (0 degrees) to the line of flight, open to the line of flight (called slice face) or closed to the line of flight (called hook face). Face angle is a specification that only exists on wood heads. The real reason wood heads have a face angle and iron heads don’t is because of tradition and the manner of play. We golfers are taught to set woods down on the ground so they sit flat on their soles. To know what driver face angle spec is going to bring about the most improvement, we also need to know the current face angle of the golfer’s driver. To advise the best face angle specs on the golfer’s driver, we need to know the golfer’s predominant miss-direction trend with their driver. To nail down a specific face angle spec, we then need to remember that on average, at a carry distance of 200 yds, a 1° change in face angle reduces a miss-direction tendency by about 4 yards. The driver face angle is used to help less skilled golfers get a better (corrected) ball flight with either a problem they have in their swing or help a more skilled golfer get the desired ball flight (draw, fade or straight hit) from a driver. Keep in mind that hitting a ball straight, curving it to the right or curving it to the left is solely a function of the driver’s face angle and path at impact. Driver face angle is an important factor related to ball direction. The angle of the face in relation to the target at impact has an obvious influence on ball direction. Assuming an on-plane swing, a square faced driver will direct the ball straight toward the target, while an open face results in shots to the right and a closed face results in shots to the left. If the swing is not on plane, face angle influences ball direction as well. The proper face angle for a player can be determined via computer testing or by observation of ball flight. 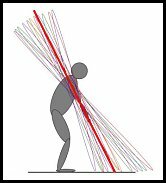 A player is best fit with a face angle that will provide consistent directional results based on how he swings the golf club. Today’s larger driver heads, due to their size and center of gravity location, will tend to more difficult to return to impact in a square position. The face angle of these larger drivers is typically designed to be at least 1 degree closed. In effect, the closed face angles help larger headed drivers reach impact in a square position. It is important to realize this relationship between volume and face angle when choosing a driver head. Often a driver head that on first observation seems to look “closed”, will perform very well when it is hit. Ball flight should be the quide when it comes to face angle, not how the club looks at address. Face angle is a key determinant of ball direction for drivers and all wood heads. It is important, not only to allow larger heads to return to impact squarely, but to assist in “correcting” swing flaws from a given player. A golfer, who slices the ball to the right, may be helped with a closed face. The opposite is true for the player who hooks the ball. The primary reason for closed faces on nearly all drivers today is the combination of Center of Gravity/larger head size and the golfer’s tendency to slice. Only thru a “professional club maker” and companies like Tom Wishon can you custom order face angles on your driver head. Click on the above right image of our drivers to see specs you can get.